RCS is a financial institution that has been assisting a lot of South Africans with personal loans and their loans range between R1 000 to R100 000. 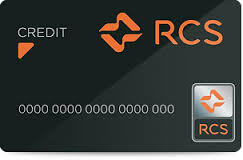 RCS Card interest rates competitive and affordable. RCS Personal Loans are unsecured loans meaning that you don’t have to put up collateral against the loan, which is good news for most people without any asset such as a house to put up. Their loans are in compliance with the National Credit Act. Freedom to use your loan on whatever you want, RCS doesn’t to require information on what you going to use it for, the choice is all yours. These Personal Loans can offer you cash between R1 000 to R100 000 and their repayment terms is very flexible, ranging between 12 to 60 months. You get access to your loan money within 48 hours and it is transferred directly into your bank account. You will be able to get FREE Personal Cover for death, retrenchment and disability if your loan is more than 3 months. Use the Card to Shop at Game and Dion Wired (Massdiscounters), Builders Warehouse, Queenspark, Makro, Tekkie Town, and AVI (Spitz, KG, GreenCross & Carvela). In conclusion, if you are looking for some extra cash to cover or take care of your financial needs then apply for RCS Personal Loans today. Simply visit their website www.rcs.co.za for more information.